1. An iSCSI target which provides some storage space, this would be at server end. 2. An iSCSI initiator who access the provided space from storage at client end. This iSCSI initiator would be at Client end. iSCSI target configuration is done through the interactively targetcli command. This command uses a directory tree structures to access the different objects. 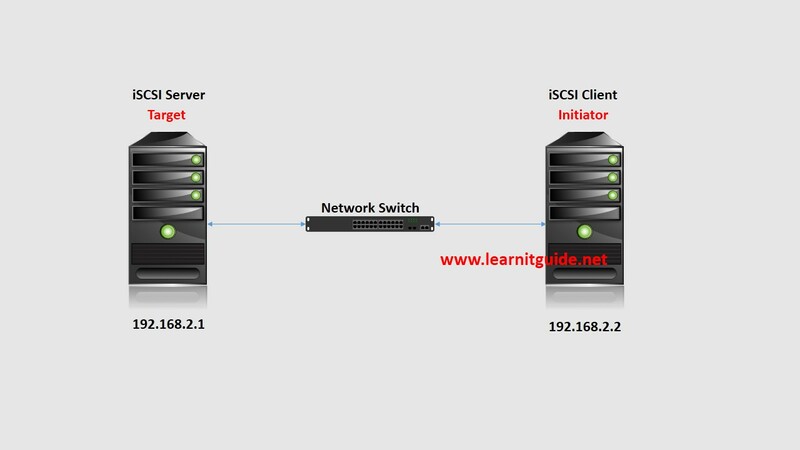 To create an iSCSI target server, we need to follow the below steps on the server. Note: This is required to be enabled, otherwise your configuration won’t be read after a reboot! There is a two main options, fileio and block. block backstore that usually provides the best performance. You can use a block device like /dev/sdb or a logical volume previously created. Created block storage object block1 using /dev/VolGroup00/lvol00. Now, we can go to the newly created directory. portals (define ways to reach the exported resources). Finally check the configuration using the command "ls" and quit from the targetcli session. Also, it can be useful to check the ports currently used so we can confirm who accessing it. That's it, we are done with iSCSI target configuration at server end. Now we need to go to the client and access the lun as mentioned in our previous articles. Click here to see How to Access or Map an iSCSI LUN Volume on Linux Client.